I was having one of those days where everything felt like it was going wrong. Another pitch rejection from an editor. A broken elevator in my building. Not enough money in the bank. I started to hit an afternoon slump when I recalled I had a mother’s helper-like product in my cabinet to test out: Stillwater’s Clockwork Instant Cannabis Coffee. 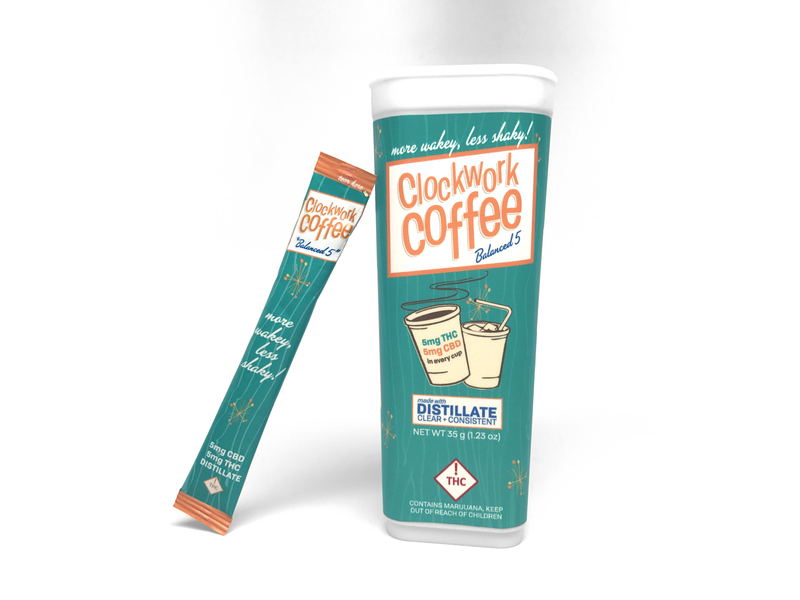 First off, while cannabis coffee has been around for some time, Clockwork distinguishes itself by offering the masses instant coffee in convenient stick form. 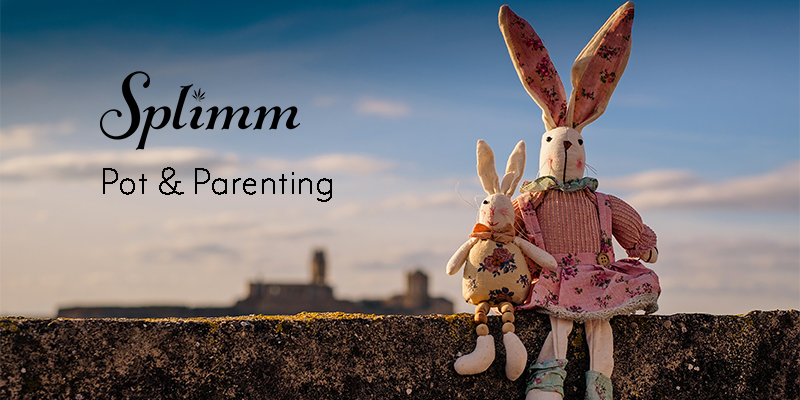 This means they’re easy to carry around in your purse or backpack (great for taking to work or even a playdate while remaining uber discreet). Stillwater know what they’re doing. They’re the same folks responsible for Ripple (dissolvable THC that can be added to, well, just about any liquid for an extra THC kick). Clockwork uses the same canna-crystals and blends them with Colombian instant coffee for another potent way to consume THC and CBD. And it comes in two varieties: Balanced 5 (5mg THC/5mg CBD) and Pure 10 (10mg THC). I tried Balanced 5 because honestly, my tolerance for edibles is pretty low. The caffeine showed up first. After a while, though, I noticed myself start to relax. CBD and THC finally came to the party. The process of consumption is easy enough. Grab a stick, tear open, pour it in a glass, add hot water (or cold!) water, and mix. I wound up heating my water first, then pouring the crystals over it, which results in a slight bit of clumping (as is common in instant coffees), but a few swirls with a spoon cleared it right up. I could see white crystals among the coffee, which I can only assume was Ripple doing its magic. Now, as far as flavor is concerned, this coffee is on par with a standard cup of joe. If you’re a coffee snob, look elsewhere. It’s nothing to write home about, but then you’re probably not that concerned with the flavor but rather, the effects. At least, I know I was. I sipped nearly half of my coffee before feeling the effects. The caffeine showed up first. I put laundry away and then took a call with a friend and enjoyed the spring in my step. After a while, though, I noticed myself start to relax. CBD and THC finally came to the party. Soon enough, my lower back muscles began to loosen up. More than that, I suddenly noticed I was in a much better mood. I’d highly recommend having a cup of this prior to a full-body massage or a restorative yoga class. It’s been about three hours since my coffee, and I’m still feeling fairly relaxed. And I didn’t even down the whole cup. I’d say if you’re a lightweight when it comes to THC, start with the Balanced 5 and sip slowly over time. My friend who has a much higher tolerance, however, said he prefers the Pure 10 for his mellow coffee experience. Overall, it’s a nice alternative to regular coffee, especially if you’re planning on being out for a while. Feel free to kick it up a notch by adding some flavored creamer. Stillwater Clockwork Instant Coffee are available throughout Colorado dispensaries for about $25 a box.